Bartenders from Sonoma Valley restaurants, bars & pubs vie to create the best new martini. Olive martini creations from local restaurants & bars, live jazz & delicious appetizers. Sample each of these unique, olive-inspired martinis & vote for your favorite! 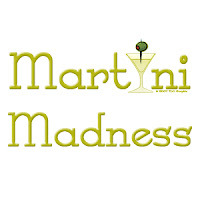 $40 for Martini Madness & $85 for the Martini Madness dinner package which includes admission to Martini Madness followed by a 3-course dinner at Saddles. Special room rates that night at MacArthur Place of $199 for guestrooms or $299 for suites, call reservations at (800) 722-1866 and ask for the 'Martini Madness rate". These guys are having fun & it shows. Wonder Bread 5 provides one of the most unique live experiences you can have! They are fun, spirited and will go all night long with huge smiles on their faces, as they love doing what they do. 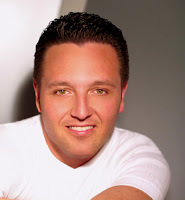 From 70s disco to current hits. 80s new wave & rock athens to classic Jackson 5. Special guests... SALLY HAGGARD. Celebration, Wine Education: This is a great opportunity to meet winemakers, taste limited production wines, new releases or library wines. Some wineries will offer food pairings and others will have tours. 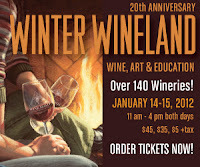 Each participating winery will either host an artist for the weekend, so you will enjoy their fine-art, or the winery will have an educational display to help you learn about vineyard management or wine making....thus, Wine ~ Art ~ Education. Performing Arts: The Emmy Award-winning Joan Rivers presents an evening of her newest and most outrageous riffs on Hollywood, pop culture, celebrities, reality TV and award show fashion. Described as a post-menopausal Lenny Bruce, you can count on this legendary comedian to deliver a full evening of all things raunchy and politically incorrect. The favorite event of Sonoma County canines is back! The swimming lagoon at Spring Lake Regional Park will turn into a leash-free dog park. Dogs will get to frolic in the lagoon from 9am-4pm for this 1-day special event. (Due to health regulations, only dogs will be allowed to swim during this event). The Parks Foundation is requesting donations of $3 per dog for Regional Park members and $5 per dog for non-members. Proceeds will benefit Spring Lake Park. Parking near the lagoon is free for members and $6 for non-members.